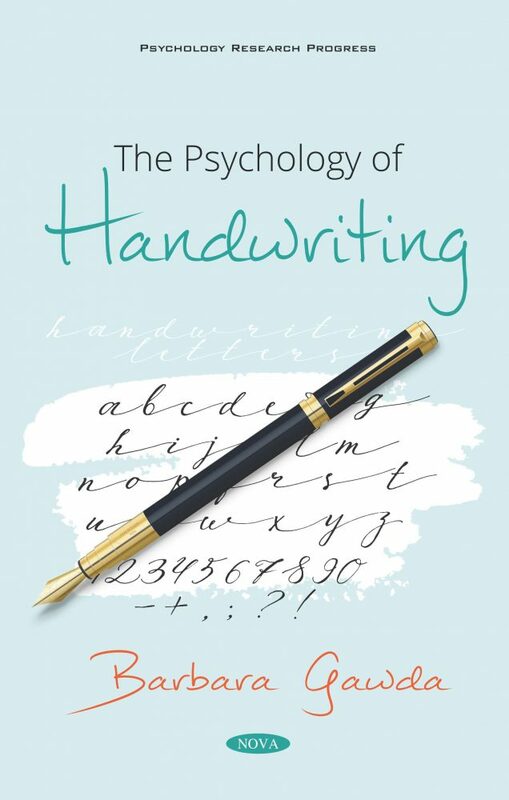 “The Psychology of Handwriting” is an interdisciplinary study of the relationship between psychological characteristics and handwriting. The results presented in the book refer to a possibility of identification of a person’s personality/mental traits on the basis of one’s handwriting. The author has performed very extensive research in the area and has replicated all of her previous studies using the most modern computer software to analyze graphical patterns. The work is carried out diligently with regard to the methodology. The author analyzes handwriting feature sets, not single features, and examines them in the context of different personality dimensions, temperament traits, state and trait anxiety, antisocial personality disorder, affective disorders, and schizophrenia. This book is the result of an extensive work; laborious analysis was carried out on 1174 handwriting samples. The results obtained laid the ground for the formulation of cutting edge conclusions demonstrating that handwriting parameters are not specific to particular personality/temperament traits or mental disorders. Although handwriting is individualized, there is no support for the thesis that psychological traits can be revealed through handwriting characteristics. The book presents a synthesis of numerous concepts spread throughout a variety of research disciplines and is a compendium on Barbara Gawda’s newest research. The author proposes an original cognitive network theory, which summarizes the theoretical background and explains the lack of relationship between psychological patterns and handwriting. Special acknowledgments should be given to this novel concept. The network model of the relationship between psyche and handwriting brings substantial input into the development of interdisciplinary research on handwriting and is important from the perspective of cognitive, forensic, and clinical psychology. Audience: Psychologists, handwriting experts, forensic document experts, clinicians, lawyers.